Hello there! I haven't been around much this week, which is unusual for me. It's just been a hectic last couple of weeks with lots going on around here. I suspect the next couple of weeks will be busy, too, but I am hoping for more time in my craft room (I haven't made a card in over a week.. yikes!). 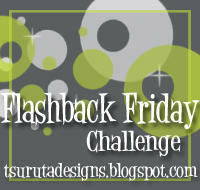 Sparkle Creations is sponsoring Amy's Flashback Friday Challenge 6.0. A random winner will win a Sparkle Creations stamp to be released in January! This month's challenge is to post the first card you blogged about that featured an unexpected find from your home. You have until January 7, 2011 to play along with this challenge. 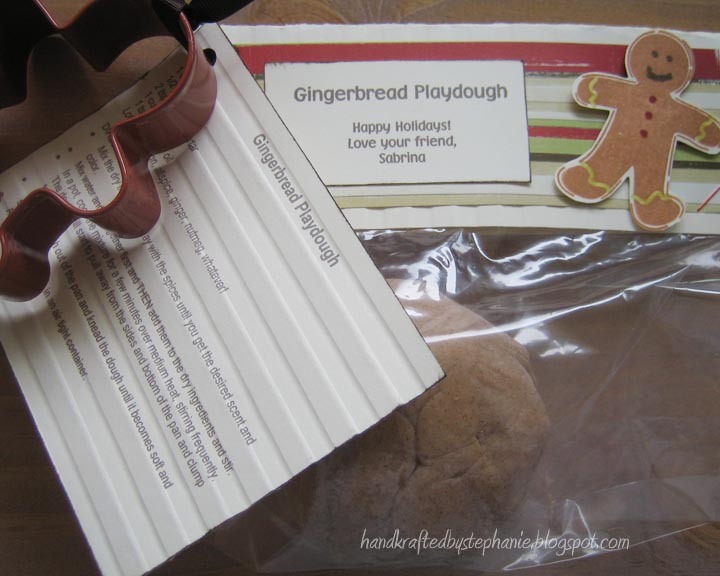 I only started blogging about 2 years ago, but 4 years ago, I made some gingerbread playdough for Sabrina to give to her classmates (she was in preschool back then). I saw the idea in a magazine (sorry, don't remember which one) and had purchased some gingerbread cookie cutters awhile back (for another idea). So, for this project, I dug out the cookie cutters, made some playdough and made this little gift packages. Mix the dry ingredients together. Play with spices until you get the desired scent and color. Mix water and oil together first, THEN add them to the dry ingredients and stir. In a pot, cook the mixture for a few minutes over medium heat, stirring frequently. The dough will start to pull away from the sides and bottom of the pan and clump together. Take the dough out of the pan and knead it until it becomes soft and smooth. Allow to cool and store in an airtight container. I hope you have a great weekend.. Thanks so much for stopping by! How fun, never heard of gingerbread playdough!! Cool! What a great idea. I have made this before but never with the gingerbread flavors. Fabulous! Oh what an adorable idea!!!! Thanks so much for playing Flashback Friday 6.0!! Oh how cute! It must smell so good! Thanks for joining us on Flashback Friday 6.0!